Oh this looks so good! I cannot wait to read! I have loved all I have read so far, and I can't wait to read the rest. 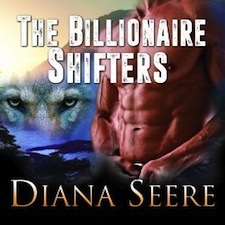 I would like to thank you for your involvement in the The Billionaire Shifter's Secret Baby Book Blitz and Giveaway. Thank you for giving us all the chance. After reading the synopsis, I was torn, should I keep reading or head for a masquerade ball!!! Congratulations on your release and book tour.